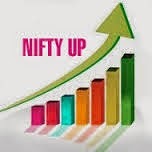 share market of India continue uptrend this week, nifty first time touch 7800 level at morning time and close at 7795.75 with gain of 27.90 while BSE sensex gain 121.53, IT and psu bank share positive trend , technology sector gain 2.2% above , energy, auto, bank share close with green mode. Media , Reality, metal, pharma, midcap share close with red sign. Nifty look positive trend 7823 then 7847/7868 upside and down side 7760/7738 down side support. I like your blog posting, really great content….keep it up…. Crude Oil March and Brent Oil April series are up 0.2 percent each at $ 53.44 and $ 56 a barrel, respectively.